The mobile phone layouts in PitchPrint is designed to allow product customization on phones and is a stripped down version of the full blown desktop versions in terms of features. By default, when a visitor uses a phone to access your store (provided it’s been upgraded to 8.3), the default mobile layout is loaded. However, you can do your own customization on the layout by creating a mobile layout and editing it in the layout page. Now, there is an option to create either a Desktop or Mobile layout. After creating it, you can edit it as any other layout. 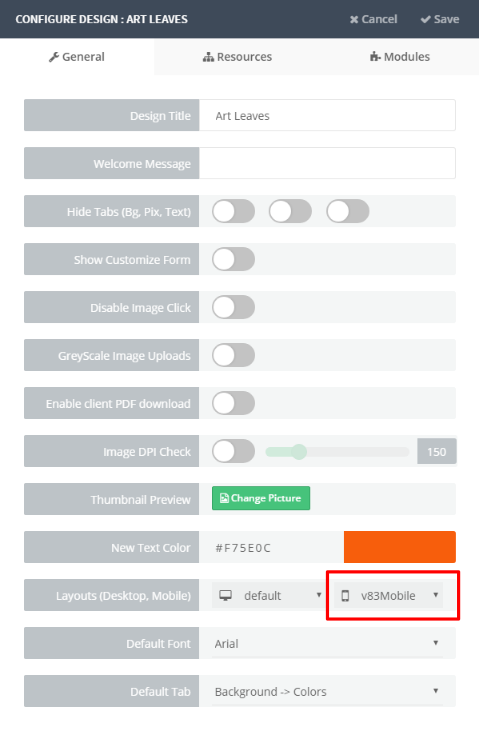 Over time, we will add more features to the default Mobile layout in PitchPrint and as such, you may need to reload and re-merge your own changes to the html from time to time.